The Variety is one of the 22 theaters in my new book “After the Final Curtain: The Fall of the American Movie Theater.” Find out more here. 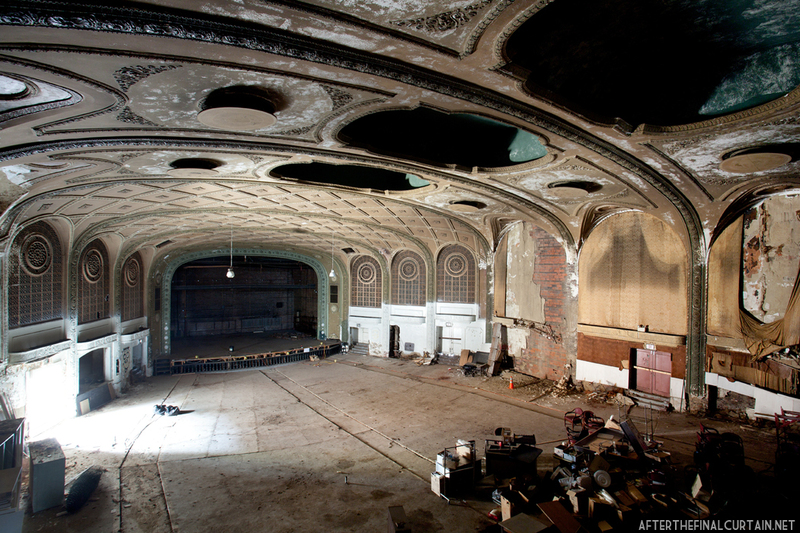 The Variety Theatre opened on November 24, 1927 in the Jefferson neighborhood of Cleveland, Ohio. It was built by Sam Stecker, Meyer Fine and Abe Kramer of the Variety Amusement Company. 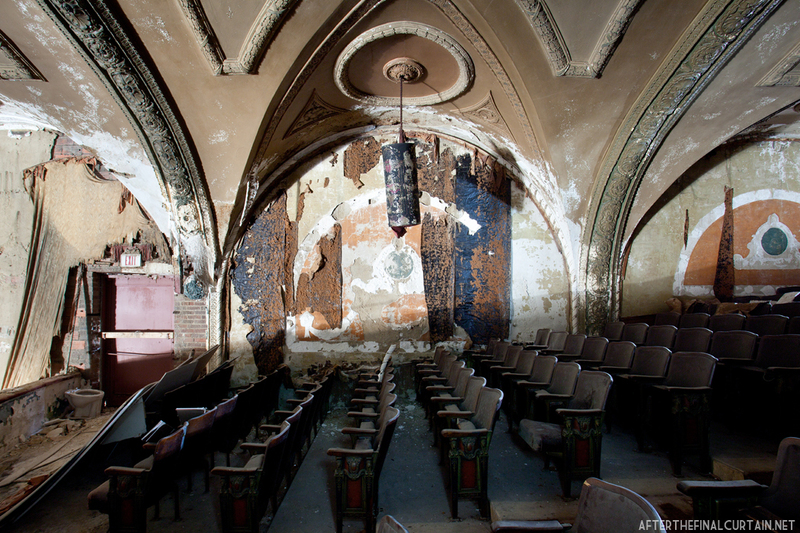 The 1,900 seat theater was designed in the Spanish gothic style by Cleveland-based architect Nicola Petti, who also designed the nearby Cedar Lee Theatre. The Variety building also included retail space and twelve apartments. One of the walls of the auditorium. 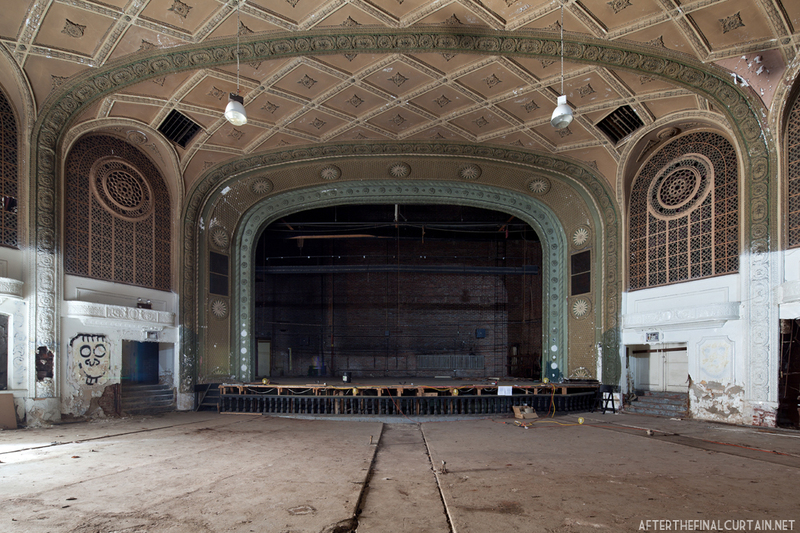 Stecker, Fine and Kramer built the Variety at the same time as the Uptown Theatre for a total cost of $2 million. 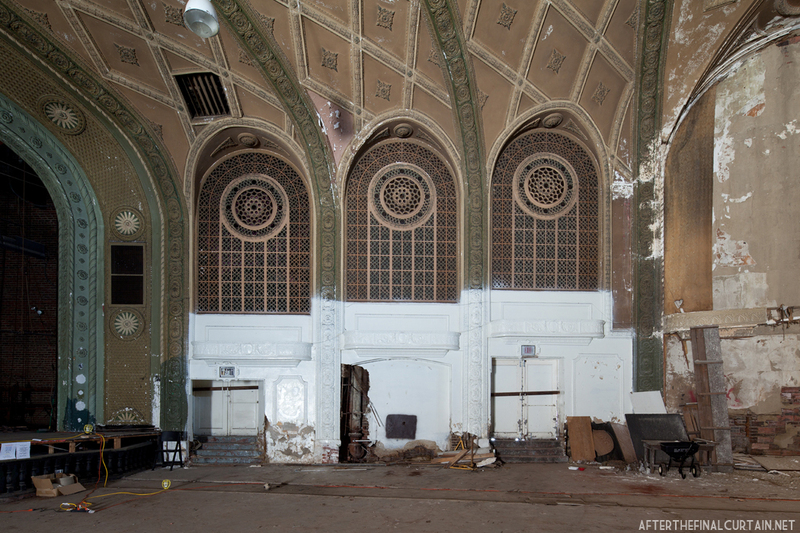 As the Variety was built for both motion pictures and vaudeville, it included an orchestra pit as well as dressing rooms. 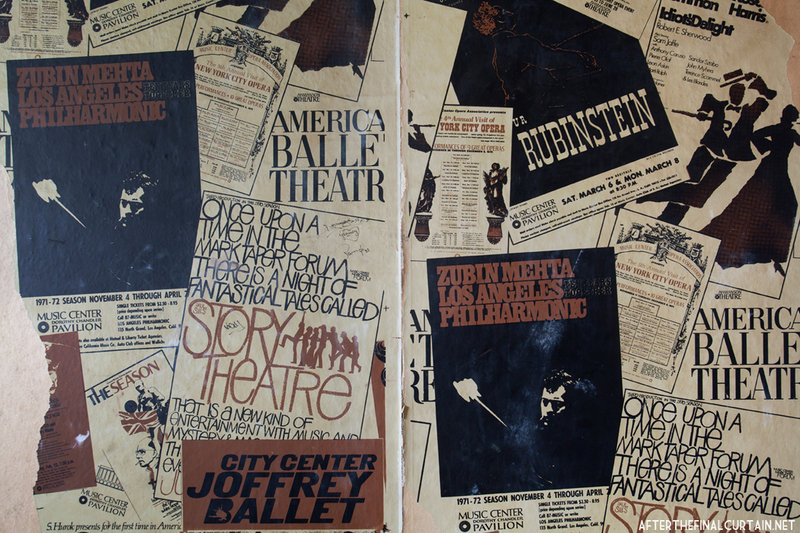 Old theater magazines were used to wallpaper the dressing rooms. The Variety operated on the Variety Amusement Company circuit before being sold to Warner Brothers in 1929. Warner Brothers ran the theater until 1954 when it was sold to Wargo Realty for $500,000, one of the largest real estate sales involving a theater since the great depression. The Community Circuit Theaters Co. ran the theater until 1976, when it was purchased by Russell Koz. Koz ran the theater as a second run theater until the early 1980s before switching over to a music venue, primarily rock and roll bands. 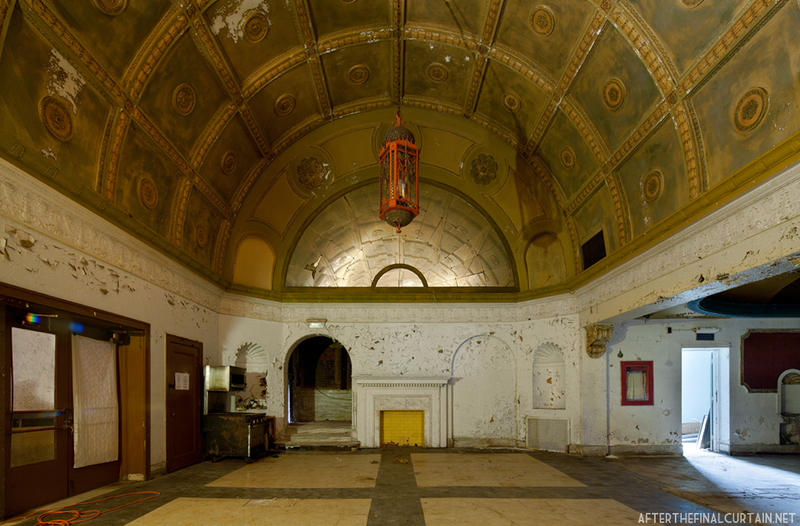 The lobby of the Variety Theatre. While the Variety was a music venue many now famous bands played there, including Slayer, Metallica, the Dead Kennedys, R.E.M, Stevie Ray Vaughan and Motorhead. During a performance by Motorhead the music was so loud it cracked the ceiling and plaster rained down on the crowd. The power had to be cut to stop the band from playing. A judge ordered the theater closed in 1986 due to complaints from the neighborhood. The Variety was last used as a wrestling gym called the Cleveland Wrestleplex before closing for good in the late 1980s. 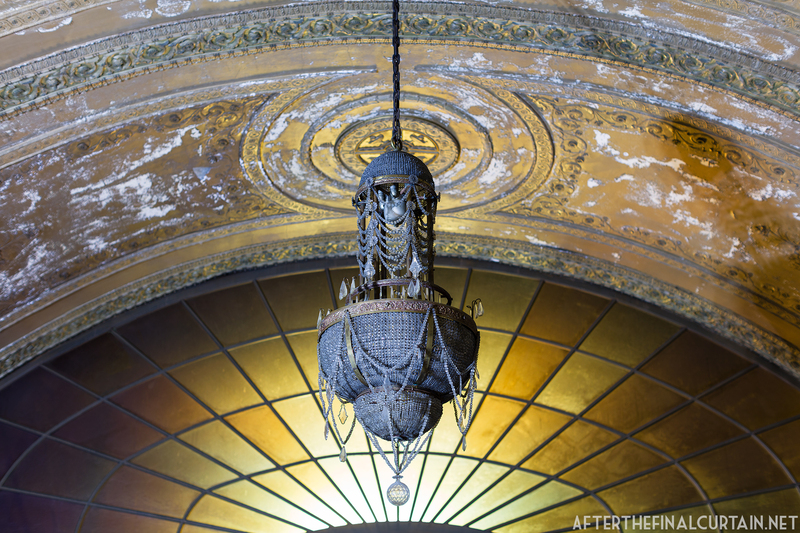 The original chandelier still hangs in the entryway to the theater. 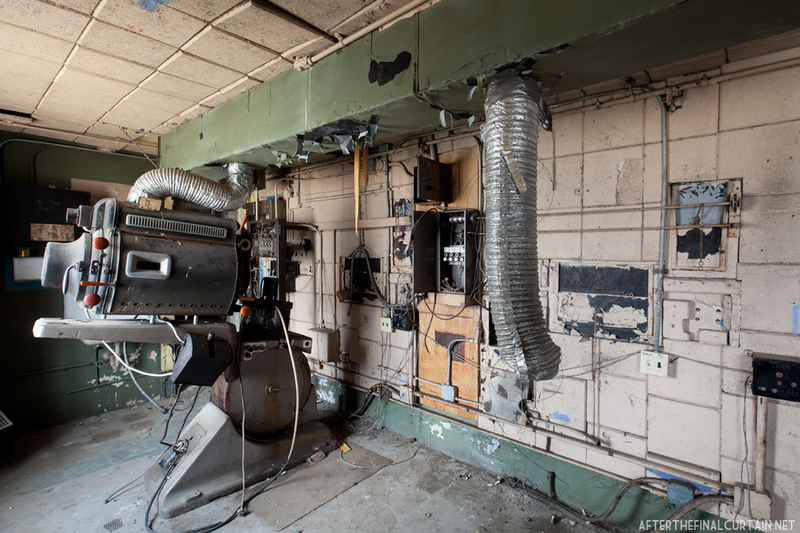 In 2002, Dona Brady, a local councilwoman recognized the need to restore the Variety Theatre. Brady worked with Gretchen Moore, a commercial director at Westown Community Development Corporation, to establish the Friends of the Historic Variety Theatre, a nonprofit group dedicated to restoring the theater. The Friends raised funds to have a replica marquee built based on photographs of the original, but it has yet to be installed. The group was able to purchase the building on June 12, 2009, after receiving grants and other funding. The apartments in the theater complex have been restored, and are being rented to supplement the restoration of the building. 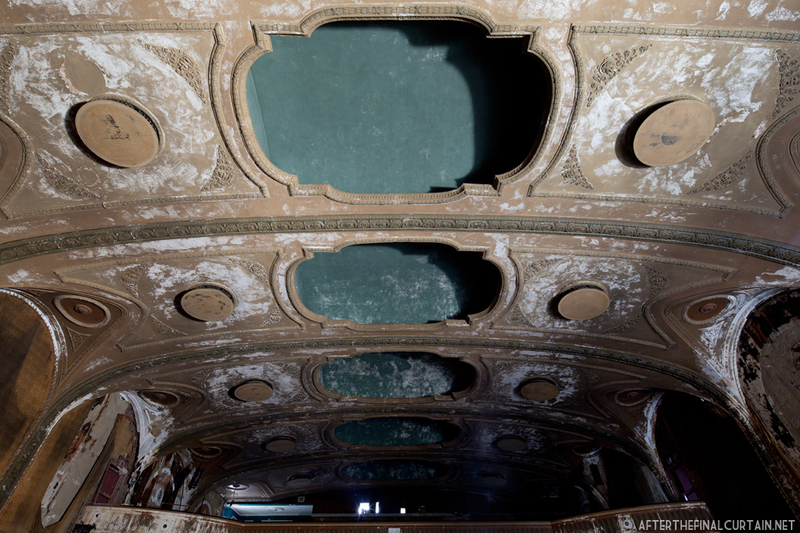 The Variety Theatre will become a multi-use venue when the restoration is complete. 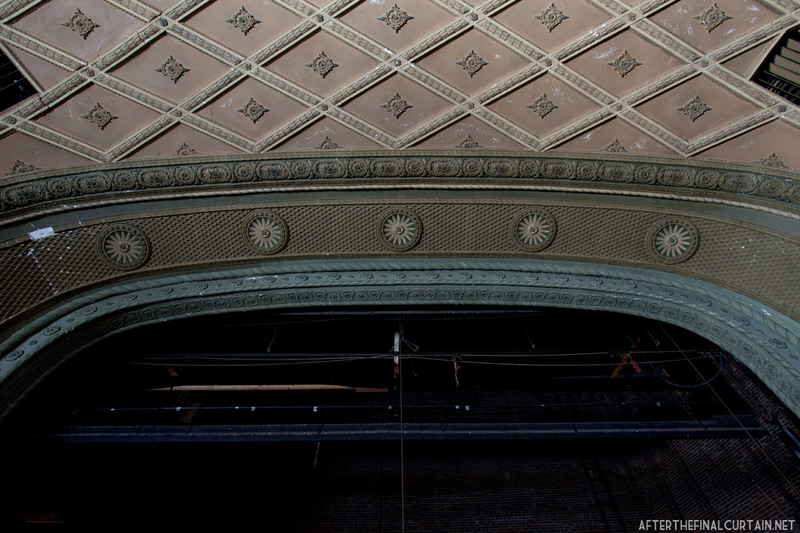 View of the auditorium ceiling from the stage. Another one of the original chandeliers is hanging in the foyer. 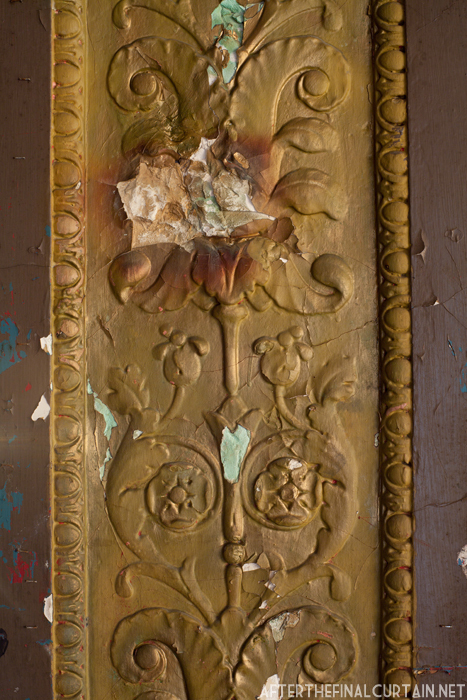 A close up of some damaged plaster work. View of the stage from the main level of the auditorium. 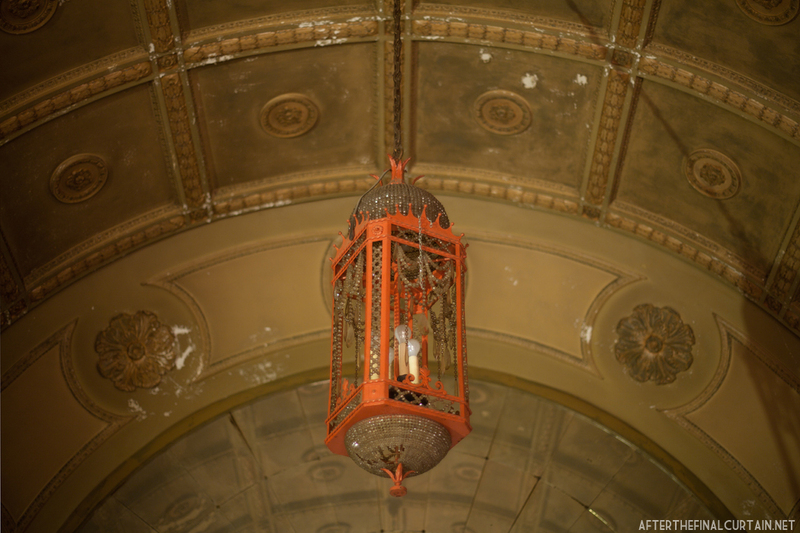 Only two light fixtures remain hanging in the balcony. 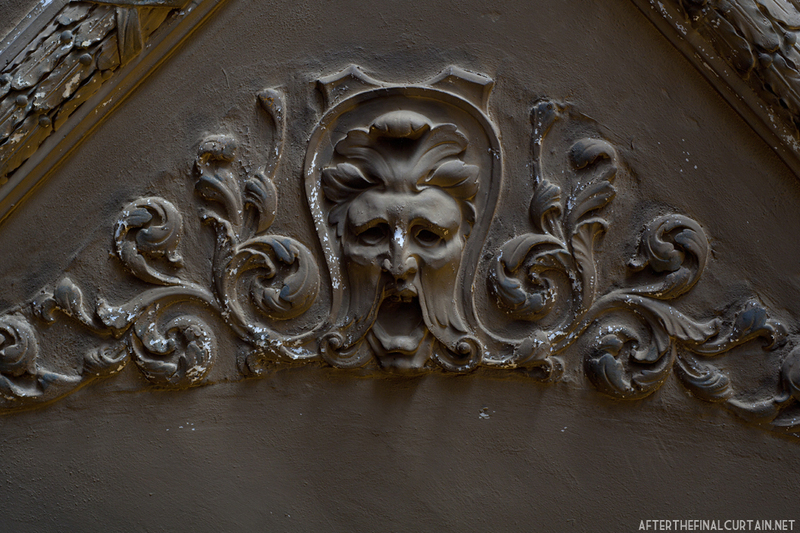 A close up of some plaster work on the balcony level of the theater. 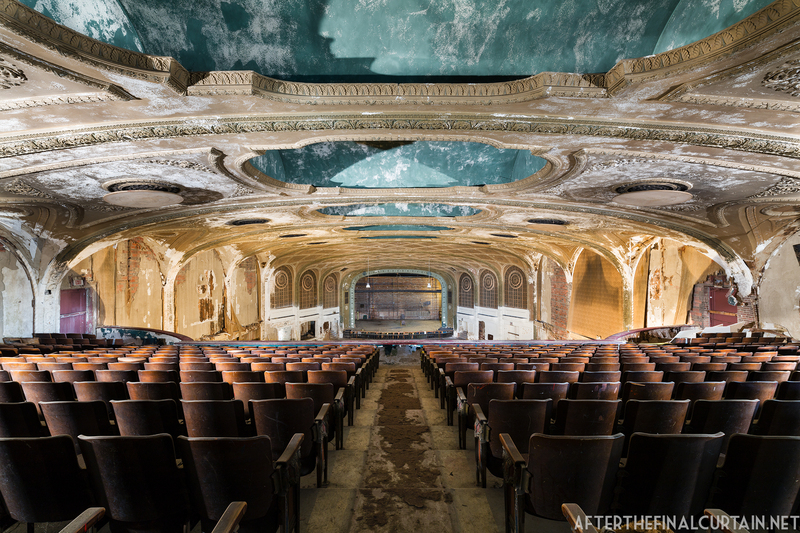 Beautiful (in a sad way) photographs. I have to ask you what you mean by the comment that the owners could only show second run features because they couldn’t “afford new projectors.” The age of the projectors have nothing to do with the film that runs through them. The size of the crowds and the ability to pay first-run rental rates do. You’re right. I worded that incorrectly, and have corrected it. Thanks! 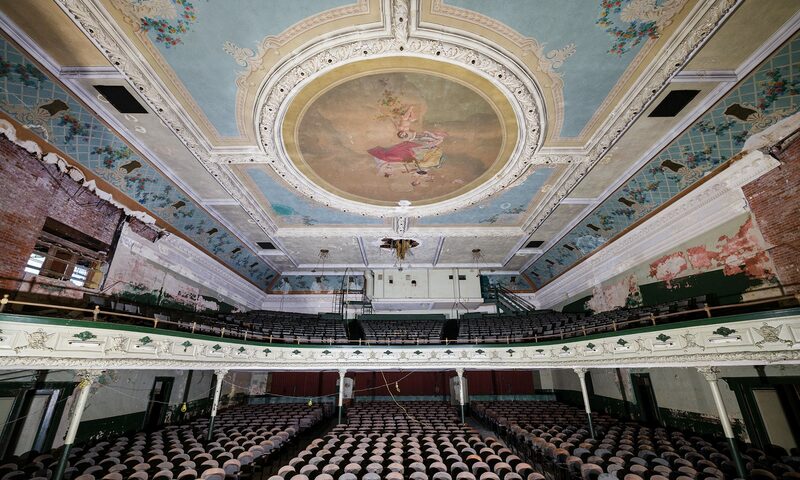 amazing pics- and great news the apartments are funding a slow revitalization of this beautiful theater. does the stage have fly-tower for scenery? n would it be big enough for broadway shows? The lamphouse on the projector is a Peerless Magnarc. They are great lamohouses. We replaced a couple Mogul lamphouses with these. I love the first photo in this series, the symmetry and depth of it, and also the tonality. Great stuff. I was present at the Dead Kennedys show in the 80s which was the historic and proverbial final straw forcing the Variety’s closure for future musical performances. i was at the motorhead show they killed the power during there encore great show! the mixing board used to be in the middle of the floor! seen many shows there! I was at both the DKs and Motorhead shows. For the record Motorhead’s record setting 130 decible show was the last concert ever at the Variety. I have many great memories of shows and movies there. A magnificent theatre. I worked in the Variety Theater in 1955/1956. Was a great job. Can remember when we played the first 3-D movie and the first cinemascope movie. Last great show that I worked was when the did a re-release of “Gone With the Wind”, the place was packed, balcony packed, and there was standing room only. Once a month they did a cartoon show for the kids from 9:00 AM until Noon. Hated to work that but, money talked those days. It was $0.10 for under 12, $0.15 for Juniors, and the adult fare was $0.50. The was a great organ down front between the stage in the pit area and the first row of seating with a 3 foot railing fence like. If you change the light blubs on the vertical marquee before the tornado tore it to the ground, we got one free pass for each blub replaced. Today they would get sued for letting us kids get up at the marquee!